Representing the very best in California lifestyle and luxury the 170-room Waldorf Astoria Beverly Hills is the most unique urban oasis in Southern California. 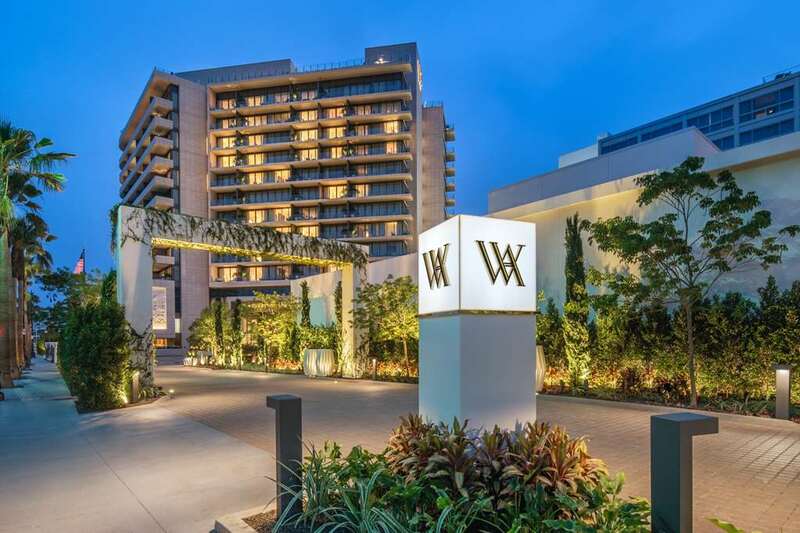 Located at the gateway of Beverly Hills the 12-story hotel stands tall directly at the corner of Wilshire and Santa Monica Boulevards. Known for the interior designs of some of the most renowned luxury hotels in the world Pierre-Yves Rochon oversees every detail of the interior and exterior design. You*ll find world-class service lavish accommodations and excellence in every detail. The rooftop pool deck is the loftiest and largest rooftop destination of its kind in Beverly Hills. Impeccably landscaped the rooftop gathering area include VIP cabanas a lounge area with panoramic views as well as a swimming pool. The hotel offers 118 King and Double Queen rooms 28 Junior Suites and 24 Suites. Create unforgettable memories that will last a lifetime. The Rooftop by JG: Roof Top Restaurant and Bar offering exceptional 360 view on Beverly Hills.